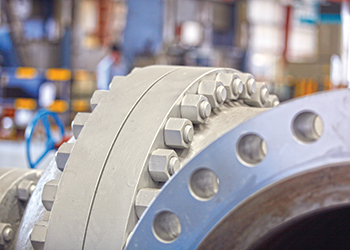 Pan Gulf Valves (PGV), one of the leading manufacturers of a comprehensive range of valves and accessories in Saudi Arabia, says the projected 15 per cent annual growth in the industrial valves market will fuel its business growth. The subsidiary of Pan Gulf Industrial Investment says its business has remained consistent over the past four years and, has orders worth $100 million in the pipeline. 'Our present business trend has remained consistent with past years due to our backlog. The effect of the current dip in project load has not translated to our revenue generation trend yet,' says the company’s general manager Adil Sabri. Pan Gulf Valves caters to the needs of a range of end-users across industrial, infrastructure and public utility sectors including Saudi Aramco, Saudi Arabian Basic Industries Corporation (Sabic), Saudi Electricity Company (SEC), Ministry of Water and Electricity (MOWE), Saline Water Conversion Corporation (SWCC), National Water Company (NWC). During the year 2014-15, it has won projects valued at $20 million and currently has prospects marked to the order of $100 million. Sabri observes that even though the current trend in the industrial valves market is towards a decline, the market, he believes will pick up and will grow at 15 per cent annually. 'Growth will be proportionate for all types of valves. Focus will be on more intelligent equipment with stress on energy efficiency and alternate energy solutions for remote installations,' says Sabri while giving his outlook for the sector. 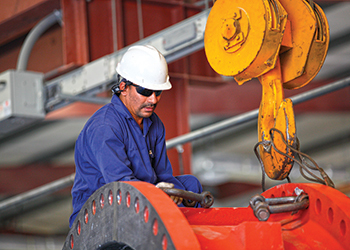 Based in the Dammam 2nd Industrial City in the Eastern Province of Saudi Arabia, PGV has assimilated nearly four decades of expertise as a leading national manufacturer and supplier of valves and associated equipment for the oil and gas, petrochemical, industrial, water, waste water, power generation and desalination sectors both in Saudi Arabia and the Gulf region. The company with a sales and services network which spans across the kingdom and the Middle East and North Africa (Mena) region has developed an in-depth understanding of its markets and the needs and preferences of its clients and end-users. 'In reflection to this, our designs and products have evolved over the years incorporating the most modern design innovations in our constant strife to deliver an unsurpassed level of quality and service to our end users. Quality, reliability and expertise are not simply ideals – they are everyday words describing everything we do,' Sabri quips. PGV’s range of product includes isolation, control and safety valves, firewater equipment and associated accessories as well as a special program of engineered products and pipeline intervention equipment. Moving forward, the company plans to make a foray into the upstream segment of the oil and gas industry. Without divulging details, Sabri says the company will soon announce its entry into the sector with the launch of a specialty range of products. The company has invested recently in a new manufacturing facility which is currently prototyping high pressure butterfly, ball and globe valves. The new facility is equipped with an in-house product validation and research and development (R&D) centre. Among certifications, it has acquired the required accreditations, such as: API 6D, API Q1, ISO 9001-2008, WRc-NSF. In addition, PGV has production facilities spread across 25,000 sq m with 8,000 sq m covered production facilities; 1,500 sq m uncovered and a 13,000 sq m warehousing and logistics centre. The sales network of company operates out of its branches in Al Khobar, Riyadh, Jeddah, Yanbu and Bahrain. Concerned with the continued fall in oil price, PGV says a slowdown in infrastructure projects is expected. 'Projects will be shelved or put on hold, demand will dip. Expenditure cool downs will also affect operations through spending freezes. Contractor slowdown and retention and acquisition of talent will be other areas of concern,' Sabri laments.